Financial Planning Standards Council and Credit Canada offer helpful tips on how to get financially naked with your partner, no matter where they lie on the spectrum of debt vs. savings. 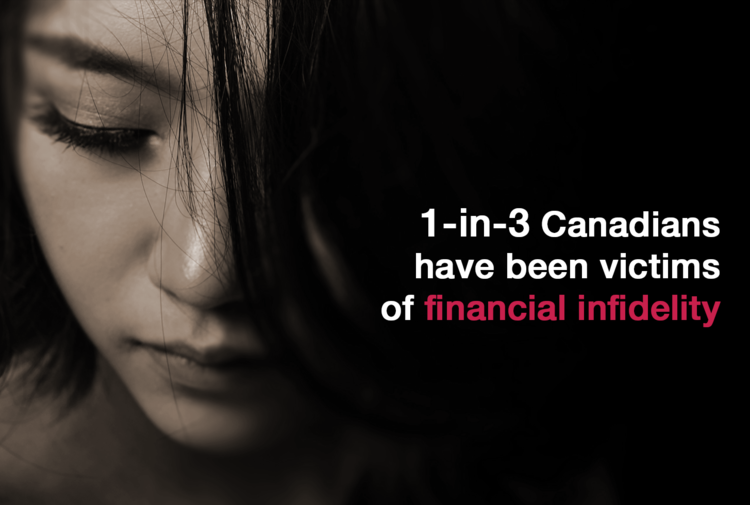 The Financial Infidelity survey, commissioned by FP Canada and Credit Canada in time for Valentine’s Day (February 14), reveals more than one third (36%) of Canadians are victims of financial infidelity. Women and men are equally likely to become victims of financial infidelity (men: 35% vs. women: 37%), keep financial secrets from their partner (men: 35% vs. women: 34%) and lie about a financial matter (36% both). Also, asking open-ended questions like: What are your financial goals in the next five or 10 years? If one wants to get another degree and travel the world while one partner wants to settle down and buy a home, there’s going to be a major disconnect. Or, ask, what does money mean to you? If one says “Freedom” and the other “Security” – you can guess which one is likely the spender and which is the saver – and can guess at the friction that will cause in the future. Keep a detailed budget and spending plan. So you know exactly how much money is coming in and how much is going out (and on what). Do not sign any document without reading it first. They say love is blind, but you don’t have to be. Read everything before signing anything. If you’re not sure what something means seek the advice from a professional or expert. Maintain separate accounts. Have one joint account for all household expenses, which each partner contributes to in proportion to their respective income. Individual credit cards in your own names. Don’t run the risk of someone else ruining your good credit. Plus, two good individual credit histories are better than one joint history when you apply for a loan. And if one of you has a blemished credit record, the other's clean record can be an asset. The full results of the Financial Infidelity survey can be found here. Find more tips about managing finances as a couple, read The secret to why some couples rarely argue about their finances, 4 tips for financial harmony as a couple and watch Couples and money.